In addition to the refreshes, Microsoft showed off the new Surface Studio 2, its creative-focused device that hasn’t been upgraded since its December 2016 release. Surface Studio 2 has a 28-inch display with 50 percent improved graphic performance. 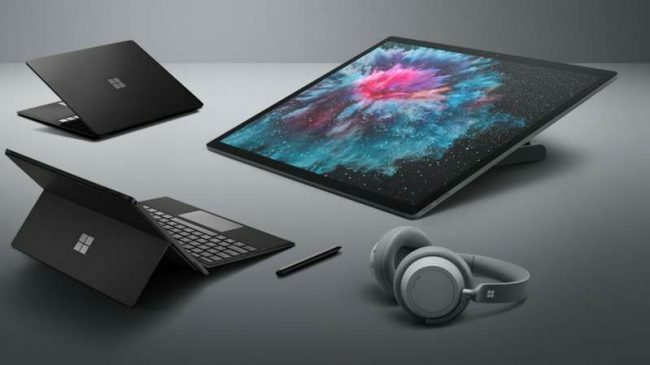 Like the Xbox, the Surface lineup will also get an All Access program that lets customers bundle a Surface device with accessories and Office 365 for $24.99 a month for two years. The price will obviously vary depending on the actual device you plan to buy, but that should make it easier for Windows users to get the device and programs they already plan to use and pay it off in installments. According to Microsoft, Surface All Access will be available first only in the US. After abandoning Windows Phone efforts, Microsoft looks to be bridging the gap between its PC and mobile OS with a new app mirroring feature that lets users cast their Android screen onto a Windows 10 device. The feature is inside of a Your Phone app, which lets you select an app from your smartphone to use on a Windows 10 desktop. You can also pair it and browse file types to drag and drop into the PC.